On Tuesday, a handful of institutions will announce an ambitious new effort on this front. Led by Bloomberg Philanthropies, the coalition is setting a specific goal for which it can be held accountable. Today, only about one in three top-performing students from the bottom half of the income distribution attends a college with a high six-year graduation rate (at least 70 percent). Within five years, the Bloomberg coalition wants to raise that to one in every two students. I have been teaching college students for 13 years, and I’ve come to know a thing or two about what makes some students more successful than others. Whether you’re beginning your first year or returning as a seasoned upperclass(wo)man, I hope I can provide some practical advice as you embark on a new academic year. You see, we professors want all of our students to succeed. We want you to learn and grow and thrive, both academically and socially. So here’s to ivy-covered buildings, critical thinking, independence, making friends for life, asking hard questions, becoming global citizens, and discovering who you really are. Source: Ann Marie Gardinier Halstead. 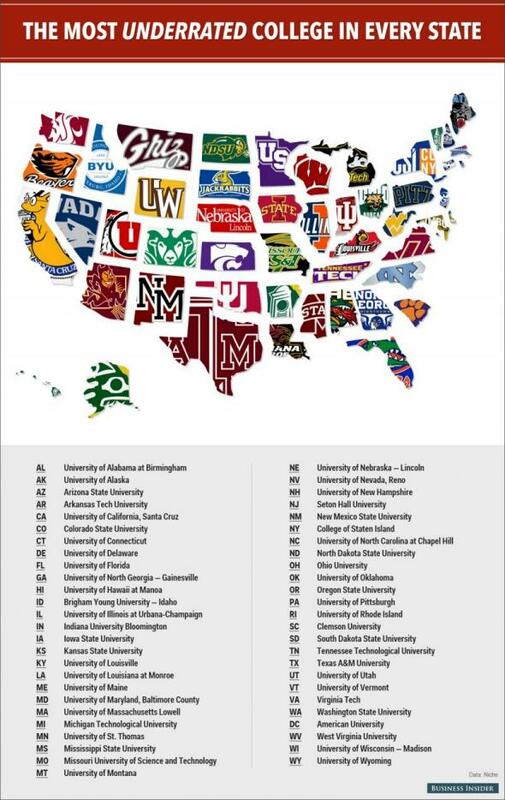 Is a more prestigious college worth the money? Do elite colleges really change the trajectory of students’ lives and earnings? Or are they just better at picking out students who were going to succeed in the first place? The research shows that the answer to these questions depends heavily on who you are. While the term “safety school” may have a negative connotation, it’s unquestionably a smart decision to apply to at least one college you’ll likely be accepted to. To make the most out of this strategy, we’ve partnered with Niche to bring you the top schools in the country with great academics and high acceptance rates. To compile this list, Niche used its data for highest academics rankings, acceptance rates, and in-state population. Oftentimes, these schools’ strong academic programs are overshadowed by the popular perception that a college is better if it’s tough to get into. These colleges challenge that myth, and are smart — and potentially safe — options for student applicants.